Although desktop publishing took off on the Apple Macintosh, other systems slowly catch up. 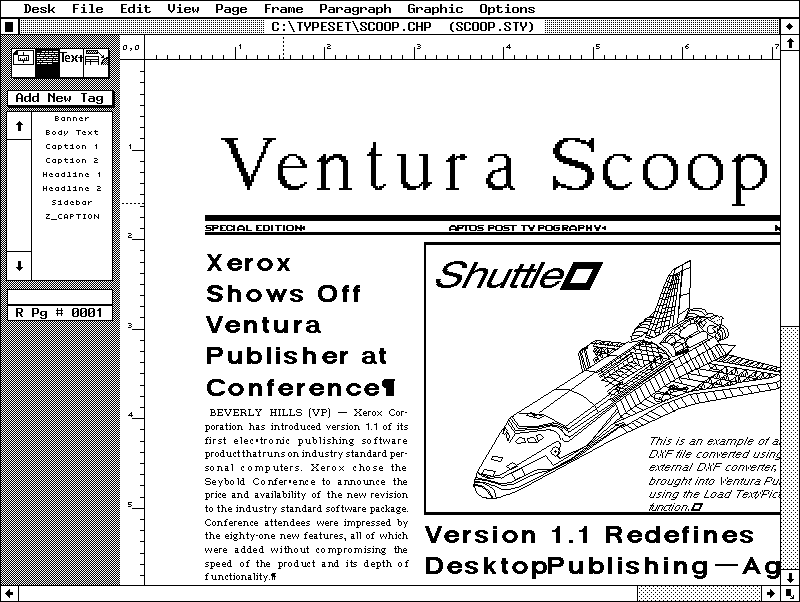 In 1987 Ventura Publisher is the first desktop publishing application on the IBM PC. The software runs on an (included) operating system called GEM. New versions of the application remain available until 2002. 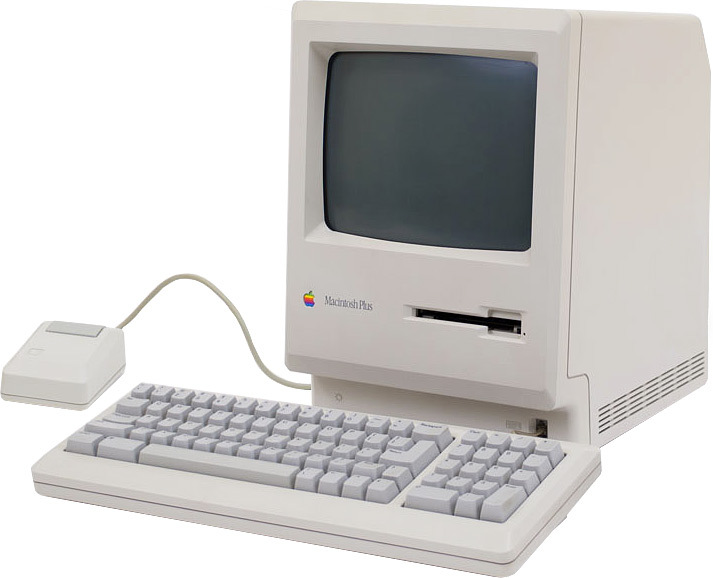 The extra memory (1 MB), SCSI port and larger 800K disk drive make the Macintosh Plus a capable performer. It is the earliest Mac I ever worked with but I actually like the powerful SE/30 model (1989) more. The Radius Full Page Display is the first external large screen that can be driven by a Mac Plus. The display is used in parallel with the existing screen, allowing users to drag windows from one monitor to the other. Microsoft finally adds this feature to its operating systems as well in Windows 98, twelve years later. 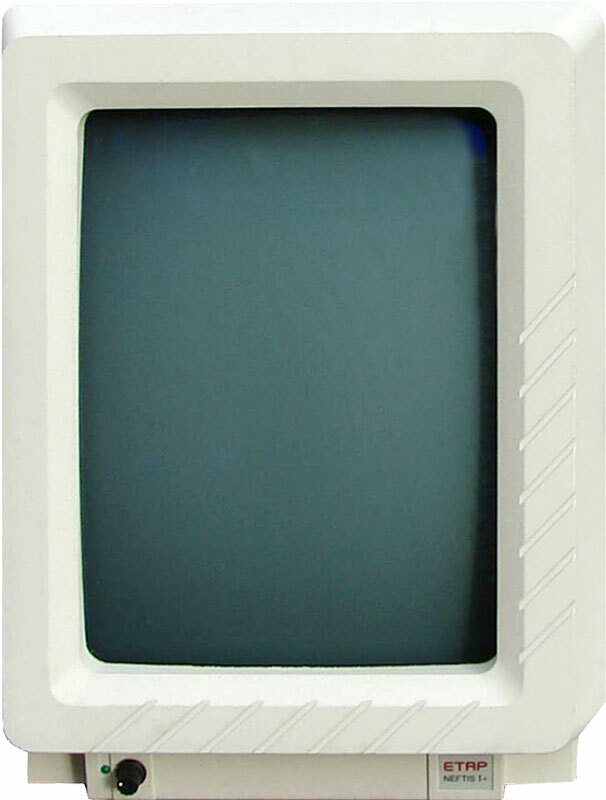 Around the same time during an internship I helped build the first prototype of the monochrome Etap Neftis monitor, which was available in a Mac and a PC version. Microtek launched its first 300 dpi B&W desktop scanner in 1985. The Agfa Focus scanner ships around the same time but offers a 6-bit grayscale mode as well. Later versions offer 8-bit grayscale (the Focus II shown below) and color support. 5500 employees of News International go on strike in a dispute over new working conditions and the proposed move from Fleet Street to new premises in the London Docklands. Despite a long and bitter battle between the strikers and the police, The Times, the Sunday Times, The Sun and the News of the World get published every single day. This Wapping dispute is a key event in the development of the British newspaper industry. Peter Deutsch writes Ghostscript, a freeware PostScript interpreter. Nowadays this product is still the basis for many entry-level RIPs that drive proofers or printers. Harlequin is founded. Its RIP software, which carries the same name, makes the company a leader in digital software for the printing industry. Another newcomer is Escher-Grad, a company that builds imagesetters. At drupa 1986 MAN Roland Druckmaschinen AG introduces its LITHOMAN commercial web offset printing press. On the software front tools for data exchange get a lot of attention during the show. 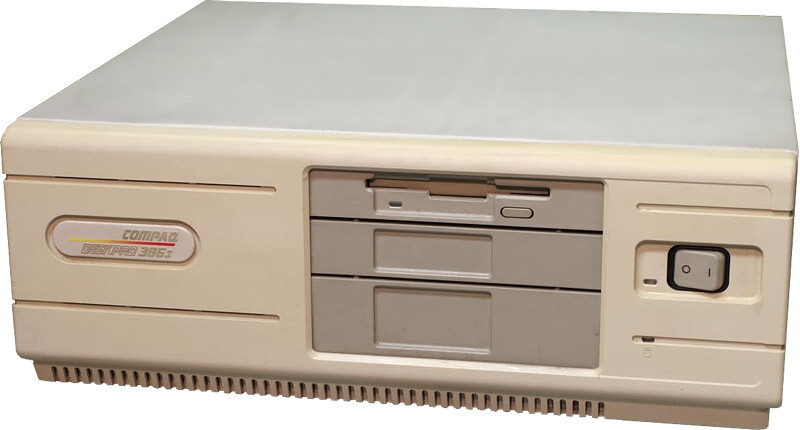 Compaq launches the $6499 DeskPro 386, the first system to use Intel’s 32-bit 80386 CPU. From this moment on, IBM no longer sets the rules in the PC world. The Scangraphic Scantext 2000 is one of the first internal drum imagesetter. Film is positioned on the inside of a drum so that only the mirror mechanism of the laser needs to move. Fewer moving parts and a fixed focusing distance make many vendors switch to such a design in the upcoming years. URW publish Antiqua, designed by Hermann Zapf as a companion typeface for URW Grotesk. Dictator Ferdinand Marcos flees the Philippines. The Iran contra scandal dominates the US news. There is a major nuclear disaster in Chernobyl (USSR). The space shuttle Challenger explodes after its launch at Cape Canaveral.